Special thanks goes out to mike for the rock. So to let you guys know a little about this tank it's a 40R tank i did all the drilling myself had the overflow box made from american plastic out of camarillo. I toke the black trim off and used 2in wide 1/4 glass to euro brace the whole tank. this tank has a 30 gallon refug housing a asm g2 I will be running a refug on this system and a mag drive 9. 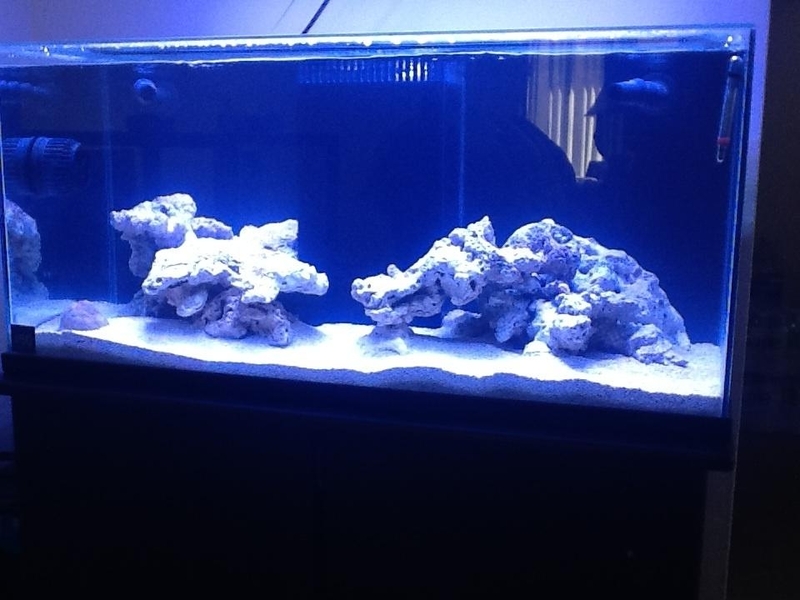 I will be running a brs reactor down the road when I break down my 25 and transfer everything into this tank. And for lighting I have the photon 32in full spectrum from reefbreeder fully programmable. Looks good! What's the dimensions of the tank?